There are certain myths surrounding the root canal. For one, they say that the procedure is extremely painful. Another one is that it will take ages for the treatment to finish. Lastly, it’s not 100% effective. All of these myths, fortunately, are just plain misconceptions. That said, what remains as a fact is that the root canal price can reach thousands of dollars. If we’re not including other procedures pre- and post-treatment, the root canal price can range from $500 to $2,000. This is based on average costs from dental health references including Medicine.net and AuthorityDental.org. Aside from the type of tooth, the rate will depend on your location and whether a dentist or endodontist will perform the treatment. That said, the price can reach as much as $5,000 if we take into account the above factors. For instance, you’d likely spend more if you need treatment for a molar tooth and chose an endodontist in New York for the procedure. Check-ups and post-treatment assistance may or may not be included. That said, make sure to request a detailed quote from the clinic so you’ll know exactly what you’ll be paying for. You can consider check-ups, follow-up consultations, and emergency fees as additional costs. These can add about $50 to $200 to the total root canal treatment price. Apart from that, you should consider the expenses after the root canal treatment. If you only need a minor tooth restoration post-procedure, your dentist/endodontist will give you a filling. The service will cost around $90 to $300. If a filling won’t cut it, you will have to get a crown to restore your teeth. Porcelain crowns cost $500 to $1,500+, metal crowns $600 to $2,500, and porcelain-fused-to-metal (PFM) crowns $800 to $3,000. Another additional expense is the root canal retreatment. Typically, this procedure is 20-30% more expensive than a normal root canal as it includes more than just replacing your crown. Also, the procedure is generally performed by endodontists who charge 30-40% more. Most dental insurance plans cover about 80% of the root canal treatment. Majority of these plans have an annual maximum of $1,000 to $1,500. To maximize your benefits, find time to understand the details of the insurance plan first. For instance, some plans require that you meet your policy’s deductible so you can receive full benefits. Others may have different terms depending on whether the treatment will be performed by a general dentist or an endodontist. 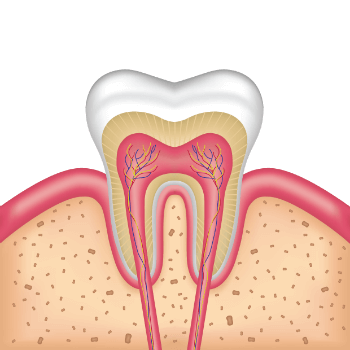 Your dentist or endodontist will first numb the area using local anesthesia. He will then cut an opening through the crown to reach the infected pulp and remove it. After removal, he will clean the canals and fill it with a permanent material to keep them free from infection. After the initial root canal treatment, you’d have to return to your dentist as he will have to refill your tooth to give it permanent protection. Depending on your condition, the refill may only be a filling or, if not, a crown. That said, most procedures end with the latter. Use a discount card. Such cards, like the CareFree Dental, will require you to pay a monthly fee. In turn, you can use the card to reduce the costs of different dental services (root canal included). Search for local institutions that offer financial assistance for dental health. You can ask your local health department for government programs or charitable organizations that may aid you in your expenses. Don’t be afraid to spend more if it means you’ll get quality service. Spending a considerable amount of money upfront will result in savings in the future, as you won’t have any more problems with your root canal. Of course, be sure that your clinic/dentist/endodontist is not overcharging you. Shop around. Don’t settle for one clinic or dentist. In fact, it is advisable that you talk to two or more dental professionals and gather as many quotes as possible. This step will help you compare prices and determine which among the providers will be the most cost-effective. How Much Does a Long Term Care Insurance Cost?